InnovixLabs boasts a whopping 31 unique strains along with a hearty 50 Billion CFU, at the budget-friendly price of $23.99 for 60 servings. The 31 strains in this probiotic include complete lactobacillus and bifidobacterium complexes, as well as two variants of the Streptococcus Thermophilus bacterium. p with lactose intolerance, antibiotic-associated diarrhea, and to stimulate your immune system. Our analysis showed that over 93% of the probiotics in this supplement were still viable at the time of inspection, placing it in the top 5% of probiotics reviewed to date! 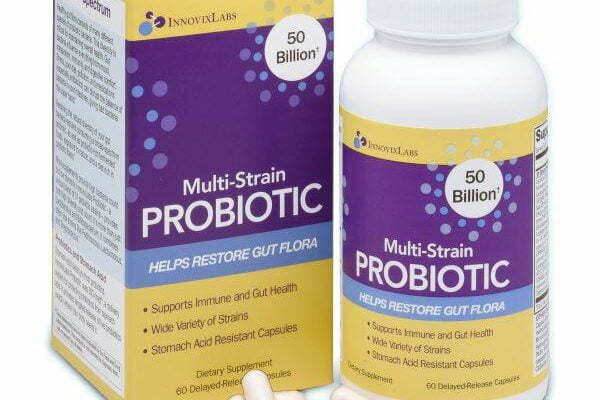 This probiotic has a very high strain count and appropriate CFU/strain ratios. The only reason InnovixLabs didn’t outrank a couple other probiotics on this list was due to its worrying amounts of fillers, binders and other additives. Our chief concerns were the Microcrystalline Cellulose, Hydroxypropyl Methylcellulose, and Silicon Dioxide: all of which can, over time, build up in your system and cause serious health issues. 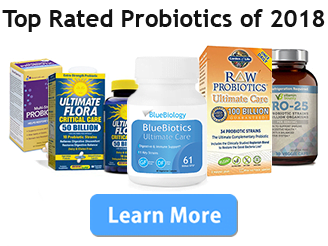 Also, check out our Top Probiotics of 2018 reviews right here.